There has been a lot of competition to design and execute the first prototype of a 3D-printed architectural structure, including complex concepts for houses inspired by nests and möbius strips. 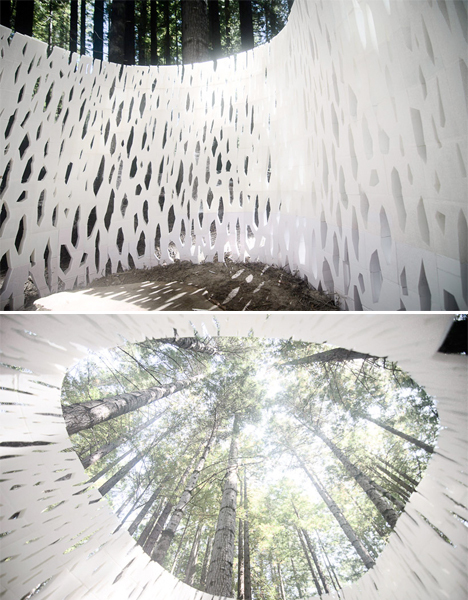 But it looks like that honor goes to Smith | Allen, an Oakland, California-based duo of designers who have created the Echoviren Pavilion. 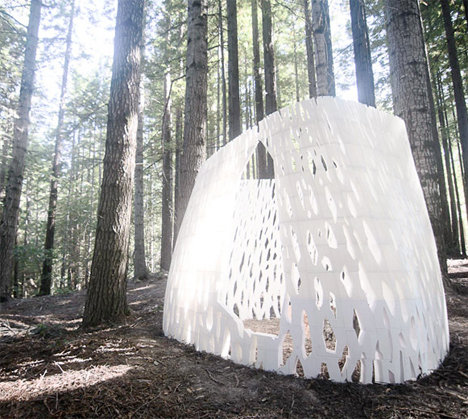 The airy white pavilion consists of 585 interlocking components made of plant-based bio plastics, printed over 10,800 hours, mimicking the look and feel of its setting in a redwood forest. Measuring 10x10x8, the structure was assembled in four days. 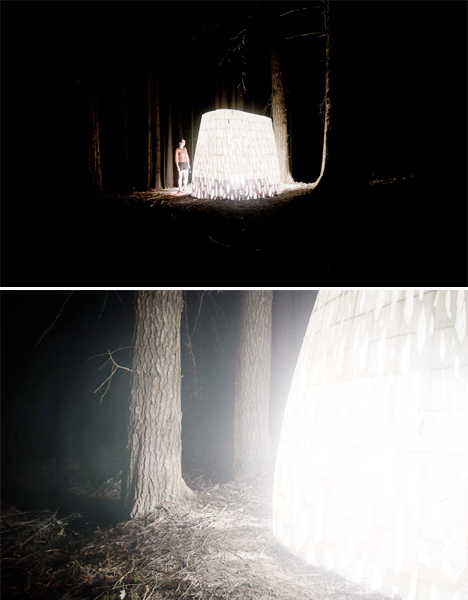 The bioplastics will enable the pavilion to eventually decompose naturally within the forest, just like the trees that grow all around it. That process will take 30 to 50 years. It will also become a habitat for insects, moss and birds during its time in the forest. 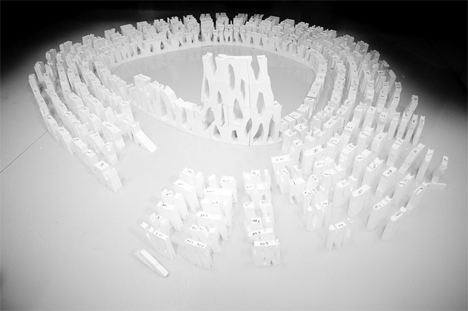 The Echoviren Pavilion was made using 7 of the Type A Machines Series 1 printers. The team actually used these small-scale printers to create large bricks with which to build, leading some critics to state that it’s not a truly 3D-printed structure, printed in much larger parts to create the whole. The true test of 3D architecture will come when larger printers are used to lay out the material for the components, layer by layer, but the Echoviren Pavilion is still a beautiful example of what 3D printers can do.